The form is mainly used to claim the various expense incurred on traveling by an employee for the organization. An employee can travel to various places for business purpose or may be for a holiday. Every kind of travel expense is noted down in this form for proper reimbursement process. On the other side, it helps in maintaining the expense accounts of an organization. You can also see Business Expense Forms. This is mainly a sample for travel expense. The form is just used as a kind of sample for the employee travel expense. In this sample copy, every detail is duly notified and henceforth this claim sample form is used for having a proper understanding of an expense form. 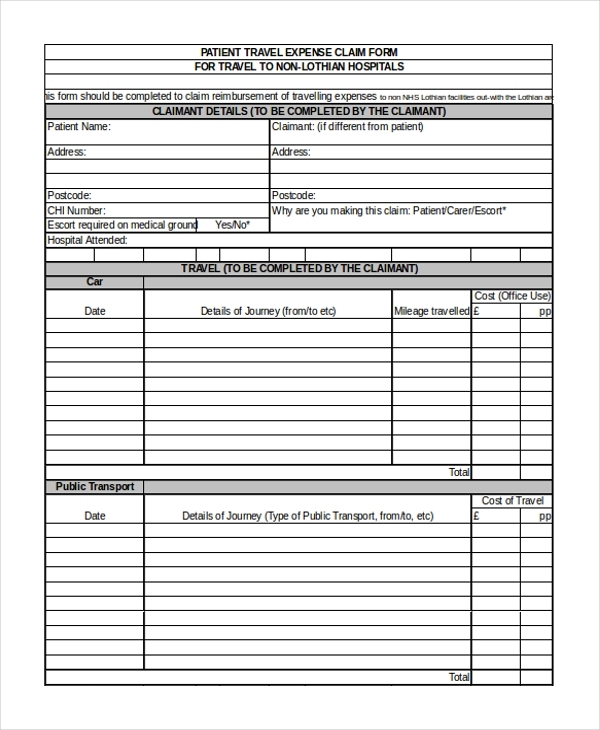 This form is used to claim expenses for a medical emergency. The form has been customized with various details that are needed to claim for the expense reimbursement. All the employees working under an organization is allowed to claim a reimbursement for a medical emergency. This form can be used by them to claim the reimbursement. 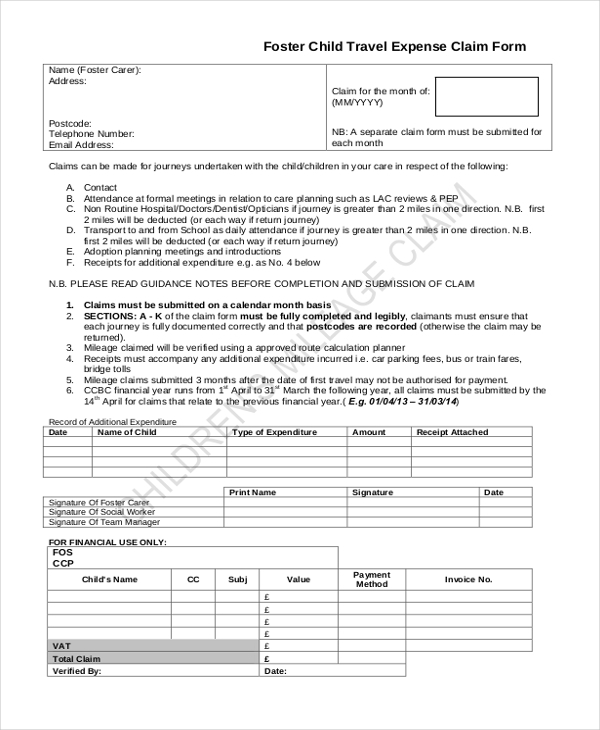 This form is used to claim reimbursement for travel expense. Every employee can claim travel expenses from an organization. The form is customized with every detail of reimbursement. This is the only document which can be used along with some necessary bills and receipts in order to claim travel expenses. This form is used to claim the travel expense amount for a foster child. The form is highlighted with every detail of the travel expense. The form is used to claim the money as reimbursement process. The form is used to claim the expenses for patient travel. 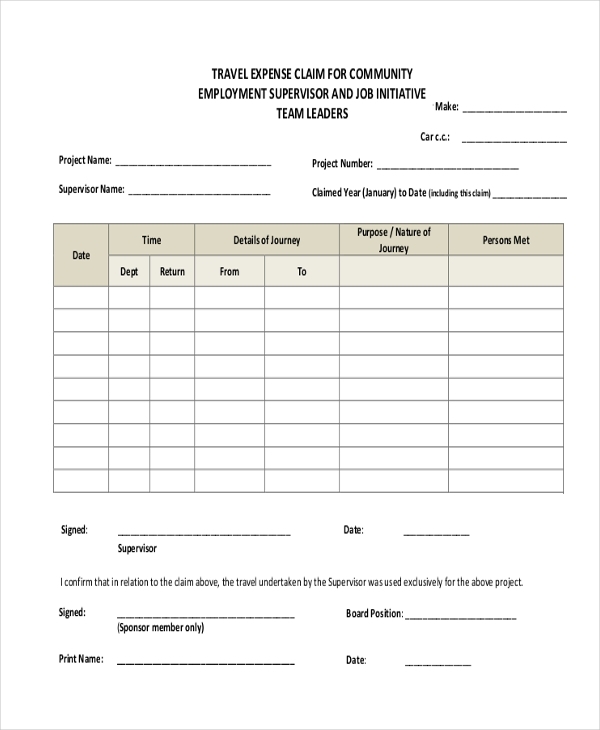 This form is customized with variable details of the travel. The form is divided into several parts each consisting of some vital information. 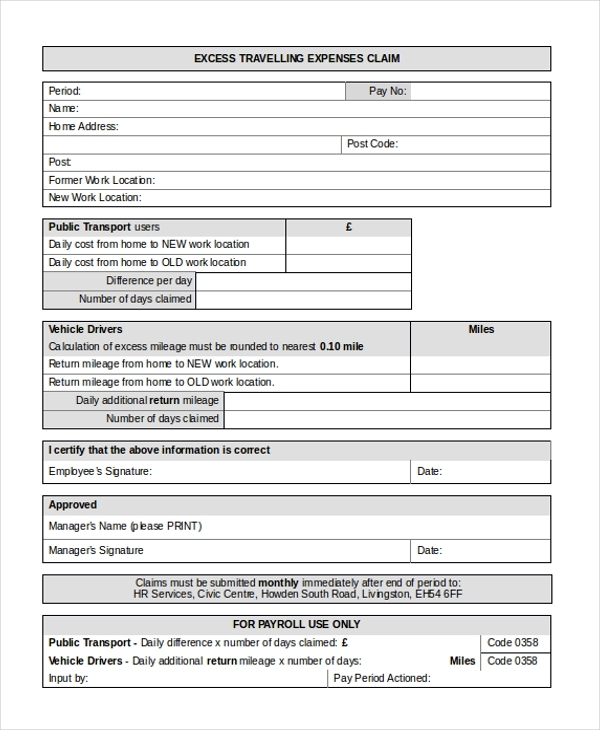 This form can be used universally to claim expenses. The form is mainly used to claim travel expense for community development. This form has been customized with varied details. All the expenses that have been incurred are duly notified in this form for proper calculation. This is the only proper and legal document that can be used for reimbursement. The form is used to claim money for excess traveling. 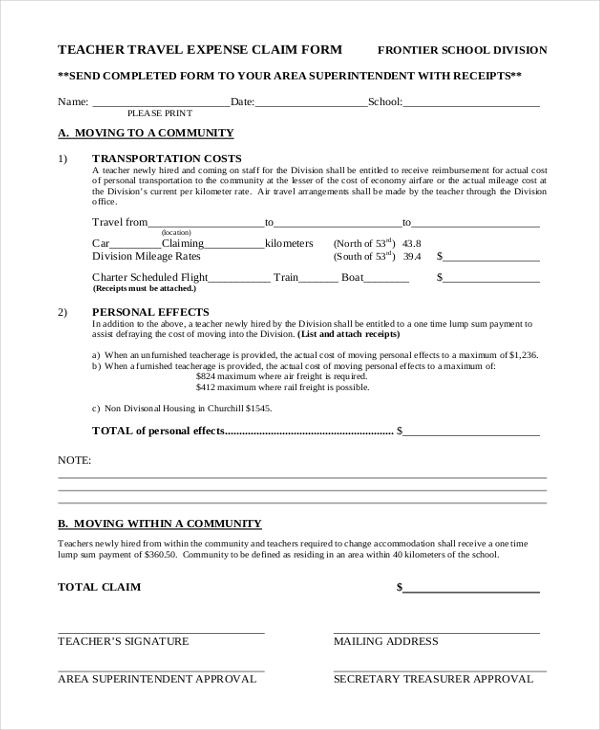 Regarding this form, an employee who is eligible to incur additional expenses as a result of redeployment or official transfer is eligible to use this form to claim the excess travel expense. 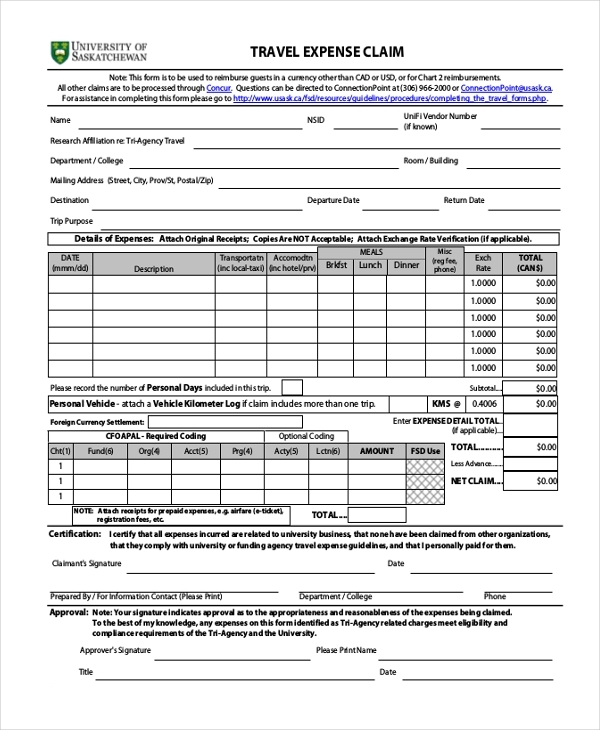 The form is customized with all the details that are needed for reimbursement. The form is mainly used to highlight the travel expenses incurred by a family over a travel. 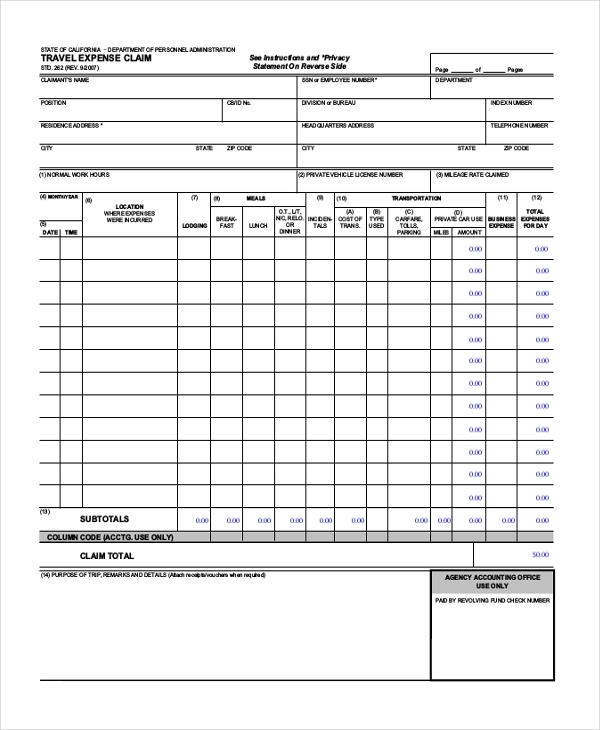 This form can be put into use by every employee working under a registered organization. This form is used mainly by the teaching staff for reimbursing the expenses incurred on traveling. 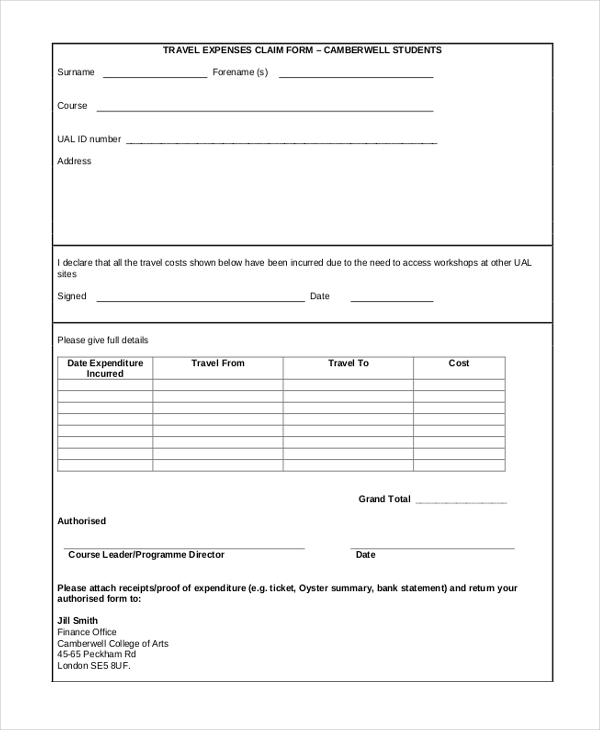 Every teaching staff working in a school or college can use this form for the purpose of reimbursement. The form is notified with every detail needed for the claim to be made. The form is mainly used by students in order to claim amount of the travel expense. Every student under a college or University can claim the expenses incurred by them on traveling from the institution. This form is customized with every information that is necessary to claim the amount of reimbursement. The form is mainly used to claim expenses incurred on traveling. Every organization reimburses a certain percentage of amounts on travel. 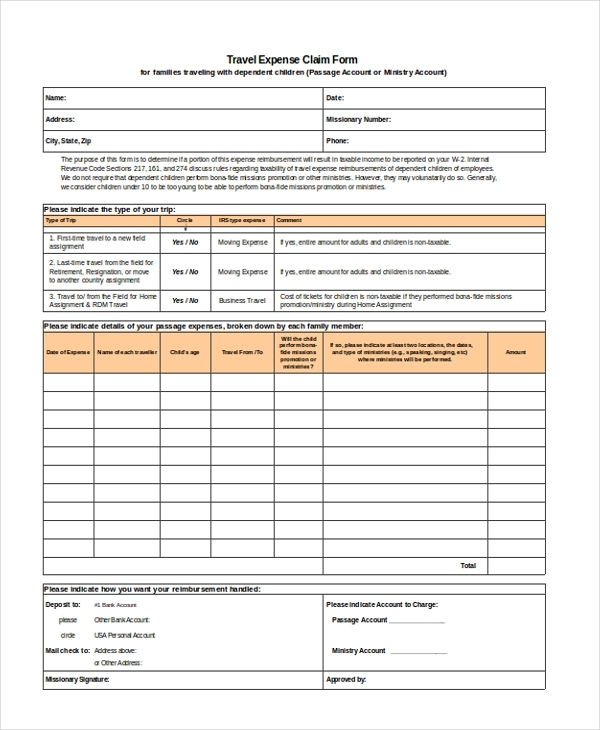 This form can be used to get back the amount incurred on travel over any place. 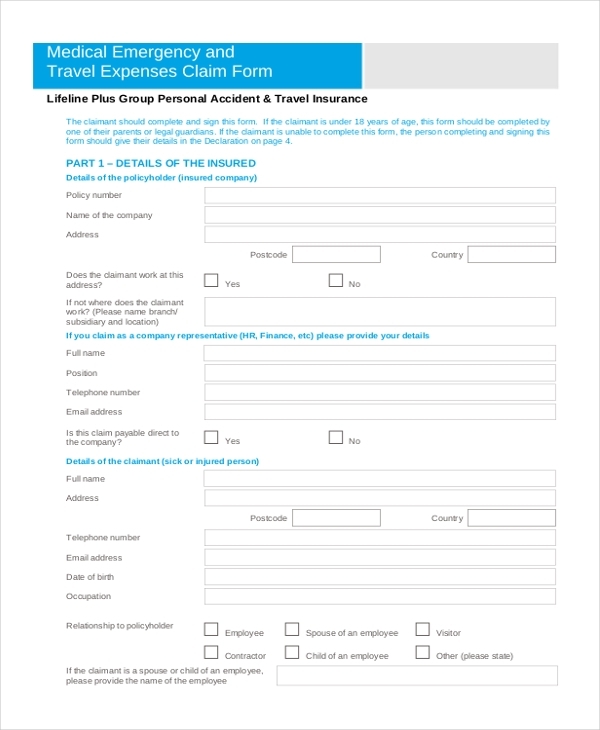 What is a Travel Expense Claim Form? The form is mainly used to claim expenses which have been incurred in traveling. Every employee working under an organization is liable to claim the amount for traveling expenses. This form is the only document which can be used to claim amount for the travel expense. Useful Mileage Reimbursement Forms. The form is the only legal document to claim expenses on traveling. This form is widely acceptable at various places in order to claim for reimbursement. There is no such possibility of any kind of discrepancy with this type of form. The form can be used by every person working under an organization. This is the only legal document which is used to claim reimbursement for traveling purpose. Starting from an employee to a school teacher everyone can enjoy the benefit of this particular form in order to claim reimbursement amount. You may also Petty Cash Reimbursement Forms. The only use of this form is to claim amount for a proper reimbursement on traveling expenses. A product proposal form is right now available in both word and PDF format on our website. All these forms serve various purposes and are absolutely available in customized sizes for every user. Any individual who needs this particular form can simply download it from the website and can edit it according to requirements. The template of this form is quite popular among many people. Right now, the market has a huge demand for this type of form and people are highly satisfied with our samples. In a conclusion, it can be said that a travel expense form is the only legal form which is used for reimbursing expenses incurred on traveling.